Does Your Company Need Cloud Quality Management Software? 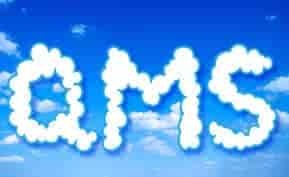 Does your business need a new cloud-based QMS software solution? We uncover what features your company should look for in a quality management solution. Verse Solutions provides Compliance and quality management software that is as dynamic as many competing software systems but provides a more cost-effective solution. Verse is ISO 9001 and ISO 27001 certified, has a significant user base, experience installing across many unique situations, and over 20 years experience in quality and compliance management. Verse makes quality and compliance management efficient and accessible to any company regardless of size and provides all of the functionality of enterprise software in a cost-effective package.